There’s lots of things to do during the day, but did you know that there’s nearly as much to do at night? How’s a curious monkey supposed to sleep? Join George as he discovers the world of nighttime sights and sounds in 8 shows from his Daytime Emmy-winning* PBS KIDS TV Series. 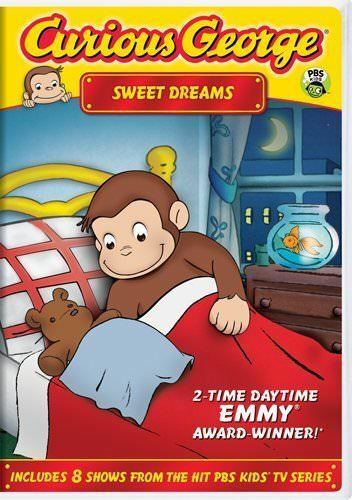 Say good night and sleep tight with Curious George: Sweet Dreams!